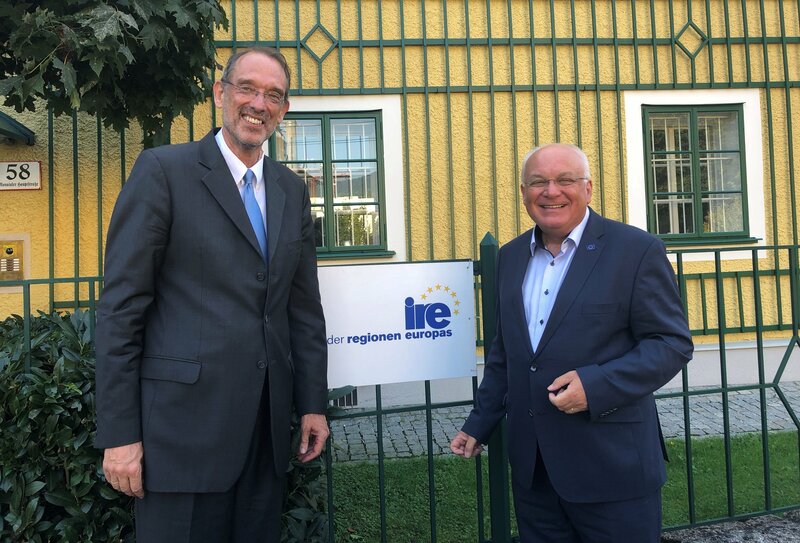 Strongly centrally organized countries have much more problems with the migration of the population from rural areas and border areas as decentralized or federal states, said the Austrian Federal Minister of Education, Science and Research, Heinz Faßmann on the occasion of a visit to the Institute of the Regions of Europe on 17th of September 2018. Faßmann, himself University Professor of Applied Geography, Spatial Research and Regional Planning, has been confirmed by several scientific projects in the Danube region. He cited Serbia as a special example, a highly centralized country where migration from rural areas to the central region of Belgrade or even abroad is particularly serious. It shows – so Faßmann – that there is a direct connection between centralism and regional disparities. Decentralization and sensible dismantling of centralization measures in the periphery would therefore make sense in terms of regional policy, explained Minister Faßmann. The chairman of the IRE, Franz Schausberger, pointed out that in a federal state, political leaders in the regions felt obliged to create liveable conditions for the people in the remote rural areas. After all, they wanted to be re-elected in the next regional elections. Key requirements included good transport links and an excellent supply of fast broadband connections. Federal Minister Faßmann welcomed the numerous activities of the IRE on the subject of rural depopulation with the aim of providing solutions for particularly affected regions.